On Saturday afternoon, Coleman had a banquet room full of Republicans enthusiastically applauding him as he talked about cutting taxes and fighting the war on terrorism. The event at a restaurant in Lake Elmo was billed as Coleman's Washington County campaign kick-off. 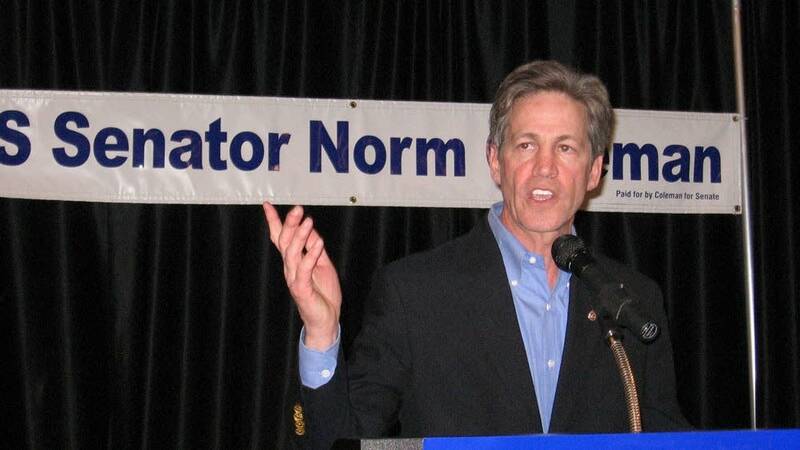 Coleman acknowledged GOP problems such as mishandling the war in Iraq and overspending at home. But he also took several shots at Democrats, ripping them on national security and on taxes. "We've got challenges and the other side is offering change," he said. "The change that they're offering is the change that you're going to have left in your pocket after they tax you and take all of the dollars out." Those who turned out seem delighted with Coleman. Dan Murray, who brought his wife and two young sons, said the energy in the room is exactly what Republicans need right now. "I think Sen. Coleman's going to win, but I do think there is a sense of resignation among many Republicans across the country," Murray said. "And that resignation may turn into apathy and keep the voters away." Coleman is just beginning to get out on the campaign trail, but the Democrats running for Senate have been actively campaigning for the past year. Al Franken, Mike Ciresi and Jack Nelson-Pallmeyer have been raising money, debating and speaking all over Minnesota. Franken and Ciresi have also run TV ads. But Coleman's campaign headquarters is up and running, and his re-election staff has been busy raising money and compiling contact information about supporters. 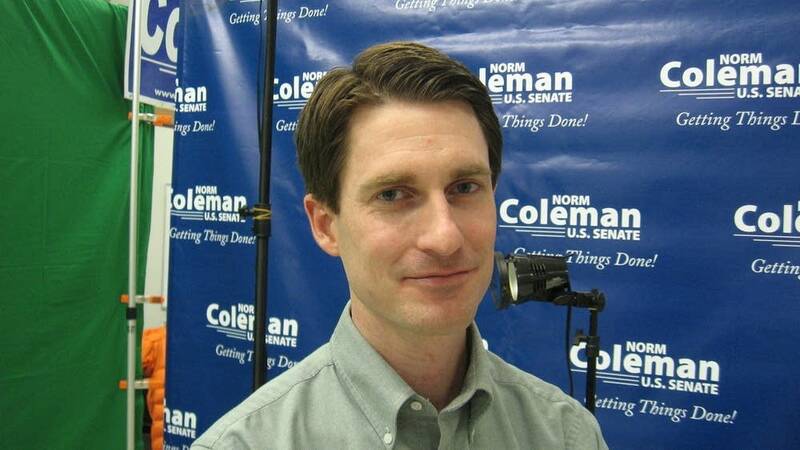 Cullen Sheehan is managing Coleman's re-election effort. "You don't see the high profile stuff from us yet -- television, radio, which people tend to associate with campaigns," Sheehan said. "It's too early for that, but we're certainly working six and a half, seven days a week already." The work has been paying off big for Coleman. According to Federal Election Commission reports, his campaign ended last year with more than $6 million on hand. Unlike the Democrats campaigning against each other for their party's endorsement, Coleman faces no internal battle. He's amassing cash for the general election campaign, which begins in earnest after this spring's state Republican and DFL conventions. 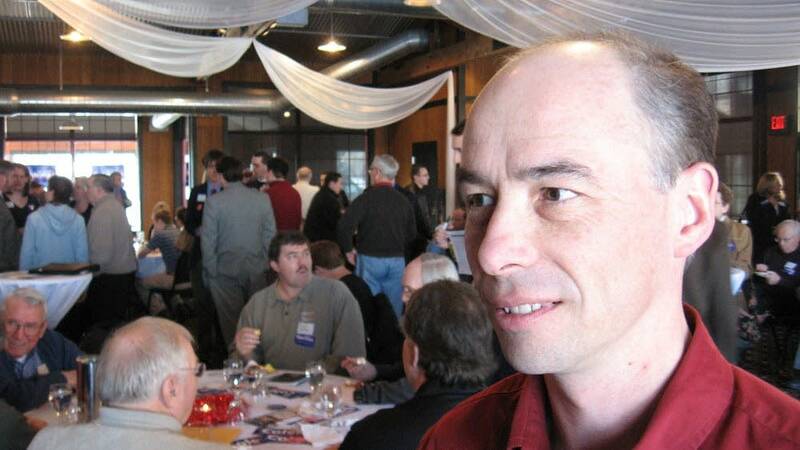 Six years ago, when Coleman campaigned against Paul Wellstone and then Walter Mondale, the race attracted lots of money and attention from all over the country. This year's race is also shaping up to be one of the most hotly contested Senate battles in the nation. Most polls show a slight majority of Minnesotans approve of Coleman's job performance. Still, political scientist Steve Smith from Washington University in St. Louis said Coleman faces a considerable re-election challenge. Recent polls show Minnesota leans slightly Democratic. Smith says there are also early indications that 2008 could be a good year for Democrats. "He'll be swimming upstream in this campaign, and there's good reason, I think, for the Democrats to be optimistic about picking up a seat in Minnesota," he said. "But it won't be easy." Coleman's initial decision to run for Senate came at the urging of the Bush White House. The president himself was instrumental in Coleman's first campaign. President Bush made five trips to Minnesota to support Coleman the last time around. "What a great leader he is for St. Paul," Bush said about Coleman during visit to St. Paul in the spring of 2001. "I think it's important for you all to know that when Norm Coleman calls over there to Washington, I'll answer the phone," Bush said. Coleman repeatedly praised Bush during that first campaign. 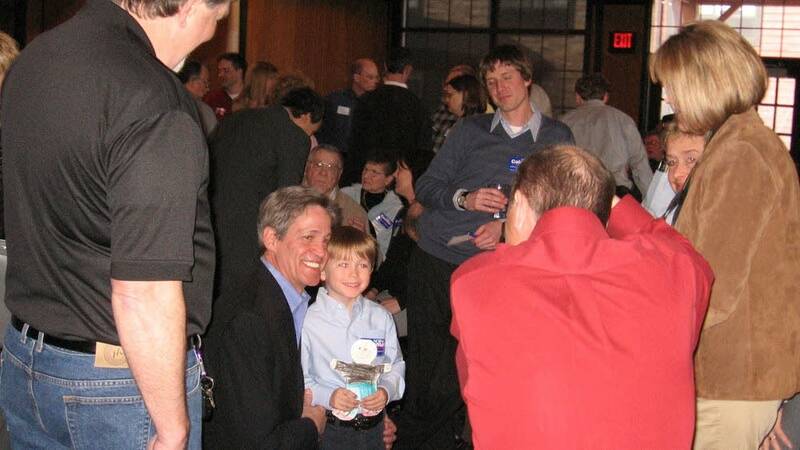 "Mr. President, thank you for the new tone you have set for America," Coleman said at a Minneapolis fundraiser with Bush in March of 2002. "Thank you for leading us to a brighter future by bringing people together to get things done," he said. "Thank you for being a beacon of light and hope and pride during America's darkest hour. We thank God for your leadership, and we pray his continued blessing on you and on the nation. Mr. President, we love having you in Minnesota. Thank you for being here." 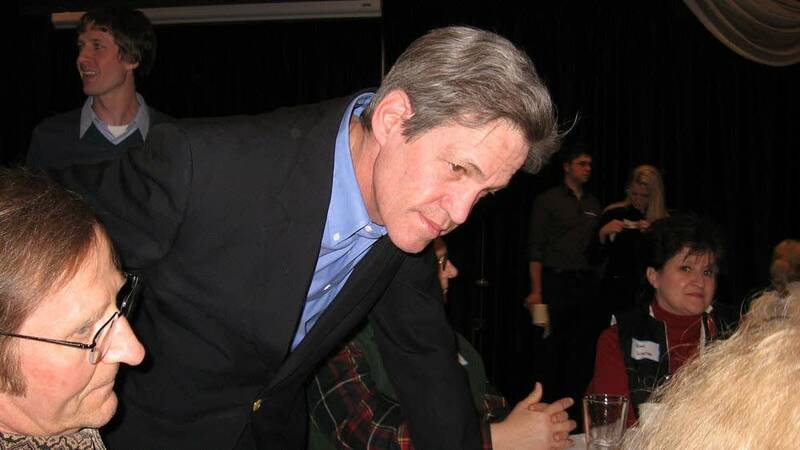 But Coleman was also careful to make the case during the 2002 campaign that he would represent Minnesotans in the Senate, not the Bush White House. According to statistics compiled by Congressional Quarterly, Coleman voted in support of Bush policies 98 percent of the time during his first year in the Senate. In 2006, he voted 88 percent with the President. Last year he voted just 68 percent with Bush. Last summer the President was back in Minnesota to help Coleman. But the event was much less public. Bush appeared at a closed-to-the-press fundraiser in a Minneapolis suburb that reportedly raked in more than $1 million. Political analyst Steve Smith said Bush will likely be back again to raise money for Coleman. But Smith said it's unlikely Coleman will appear publicly with the unpopular president. This time around, Smith said Coleman will likely spend more time highlighting areas where he has differed with the Bush administration on issues ranging from global warming to Iraq. "He's going to point out a year ago he was questioning the strategy in Iraq at a time when only a few other Republicans were doing it," Smith said. "So he's going to point to a few things where he takes a somewhat more moderate point of view. Be he knows perfectly well that he's been a mainline Republican in the Senate." And Smith said Coleman's GOP status and close White House ties will likely leave the senator trying to try to make the race more about his opponent than himself. "The question is, well what do you do with that mix of basic facts? And the obviously solution is to make issue of the opposition candidate," Smith said. "Try to shift the focus from yourself to the weaknesses of the opposition." Coleman has acknowledged that it looks as though he'll be up against Al Franken, even though DFL activists have yet to select their Senate candidate. Although Coleman has yet to put up TV ads, his campaign has produced numerous Internet videos. Several address Coleman's work in Washington. Others take on Franken, like this one titled, "Things you won't see in a Franken ad." It's a highly edited collection of Franken statements. "Conclusion, Republicans are shameless (bleeps)," Franken says. "I (bleep)ing hate those right wing (bleep)s. I call it being a (bleep)ing moron." "What we've done on the Web site is say, 'This is Al Franken,'" Coleman said. Coleman has talked about running a positive campaign. He said he wants the contest to be about the issues. But Coleman said a candidate's past behavior is an important issue. "I hope, in the end, people make a choice on what you can do, on what's your vision for the future," Coleman said. "But also what ties into that is what's your past? What have you accomplished, and what have you done to bring people together?" Some political analysts predict Coleman and his challenger will spend as much as $30 million on the Senate race. That does not take into account millions of dollars in TV ads and mailings that will likely come from independent groups like the Chamber of Commerce or Moveon.org in an attempt to influence the outcome of Minnesota's Senate race.